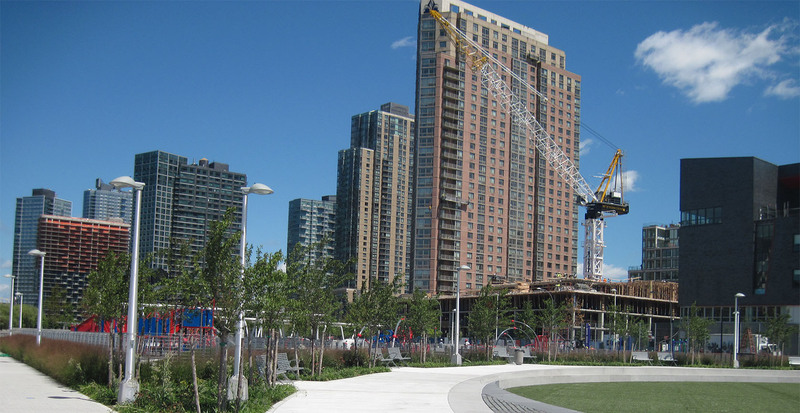 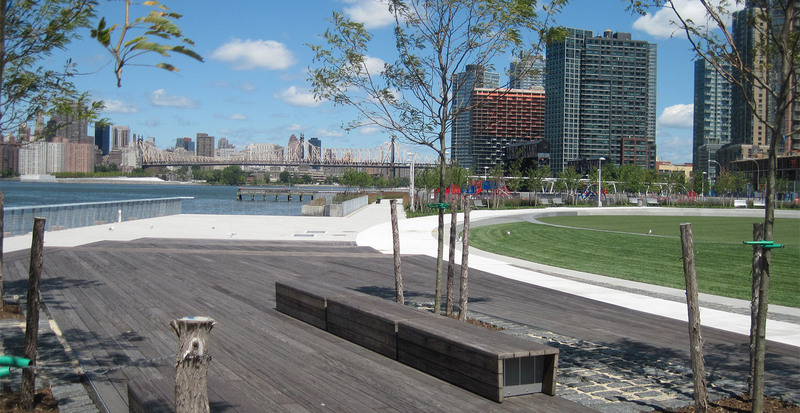 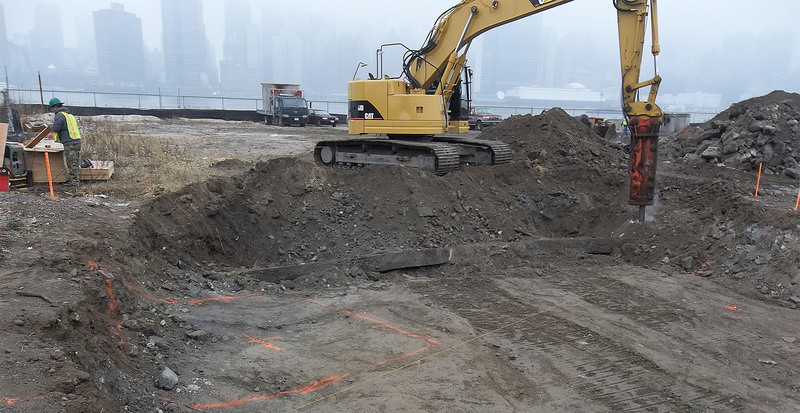 The Hunters Point South Waterfront Park is the first phase of a proposed 11-acre public park that GBI built for the NYC Department of Parks and Recreation in conjunction with the New York City Economic Development Corporation. 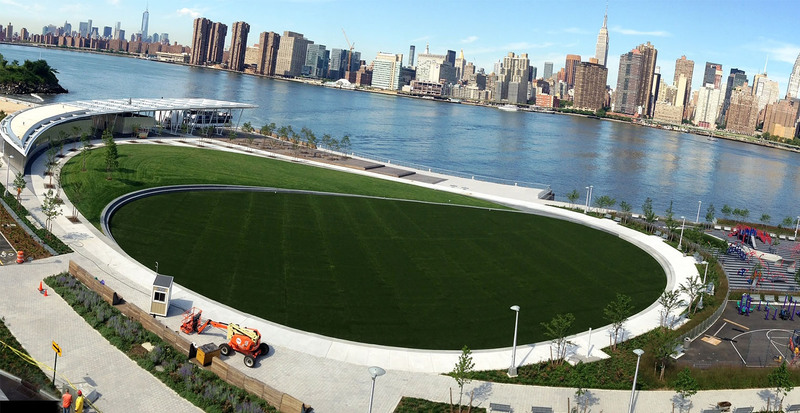 Walkways made of concrete hex pavers and concrete paving surround a site that consists of a dog run, bifurcated for large dogs and small dogs, a rail garden, basketball court, playground consisting of several play structures and a water feature surrounded by safety surface, a natural turf mound and an artificial turf field, and an urban beach. 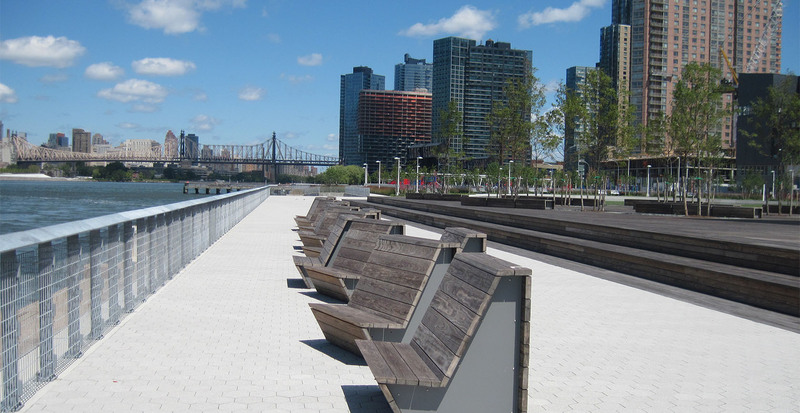 Each and every part of the park has views running nearly the length of east side of Manhattan’s skyline. 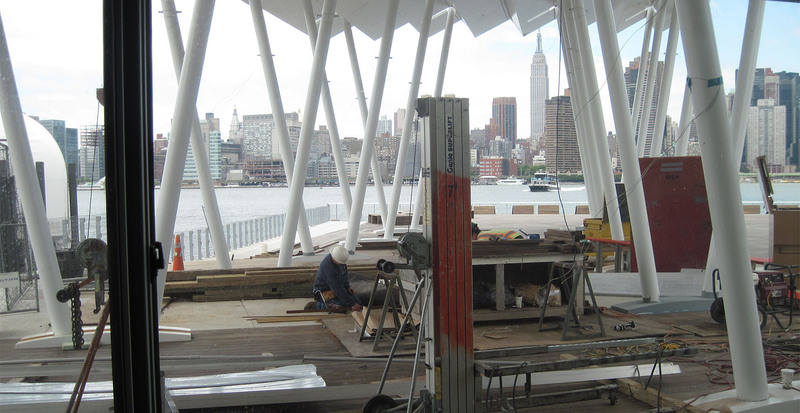 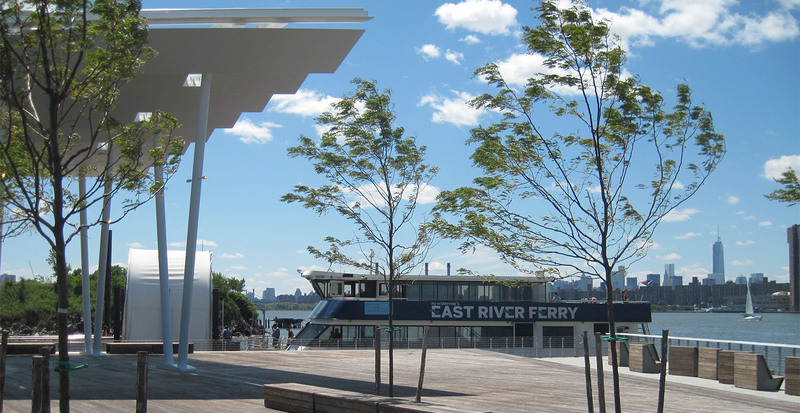 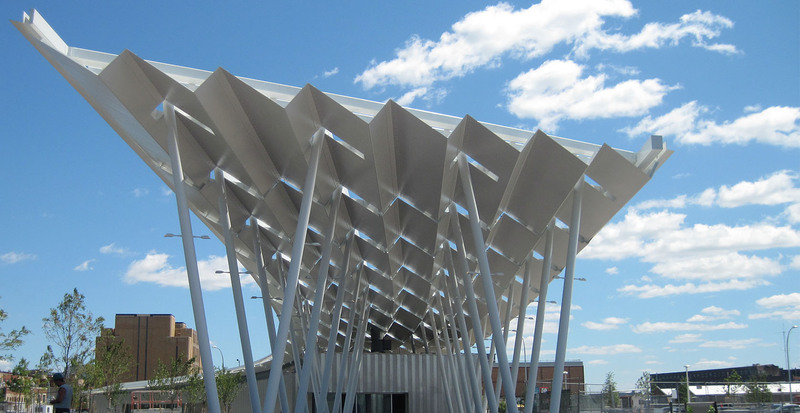 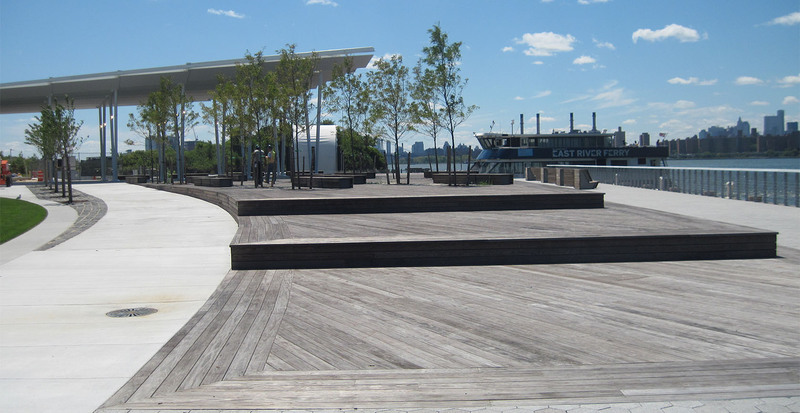 A pavilion, conveniently located adjacent to the Long Island City Water Ferry stop, consists of maintenance & operations building and future concession building, both clad with unique stainless steel metal wall panels, situated under a continuous 3,000 SF steel shade canopy whose center line points to the Empire State Building. 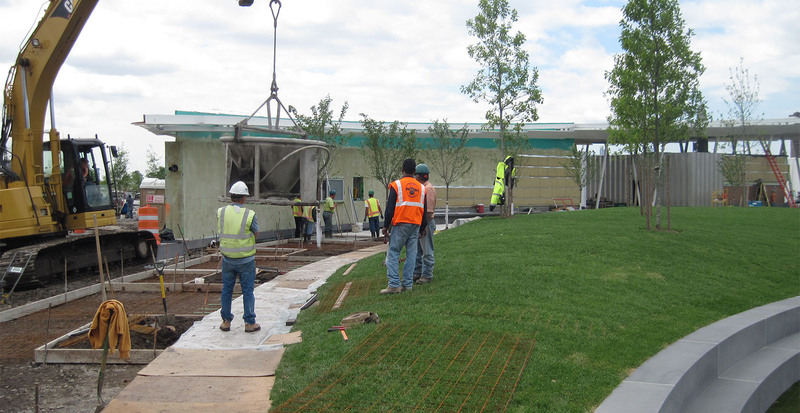 The canopy will hold a 64 solar photovoltaic panel array that will eventually power nearly 50% of the park and complement the green nature of the soon to be LEED certified park. 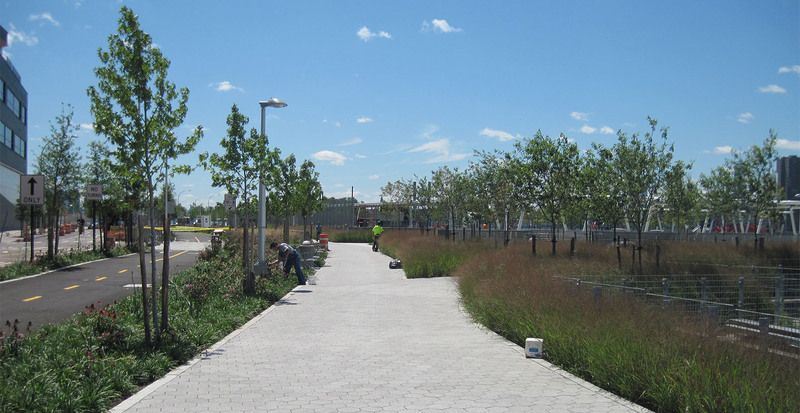 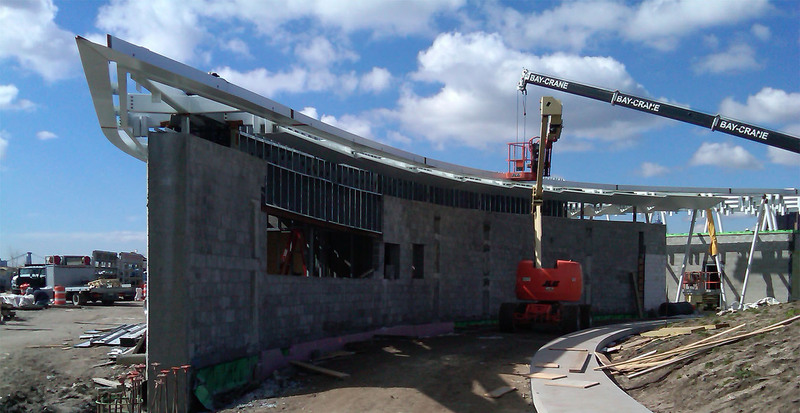 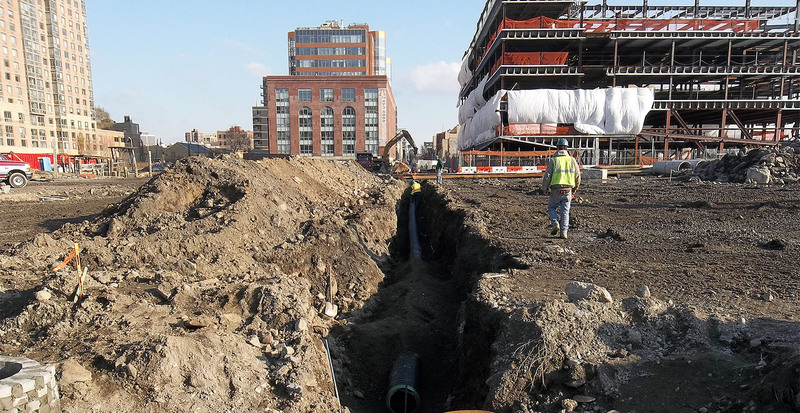 Although the Park was hit by Hurricane Sandy midway through construction, it suffered little in the way of deleterious effects and the design team is confident that the park, as constructed, will be able to weather any future storms.